View the entire table of contents for the March 31, 2002 issue. Chaptalization is a process by which a vintner adds sugar to the vats of grape juice before or during fermentation in order to raise the alcohol level of the finished wine. Find out how this process originated in Napoleonic times, how it works, and where it's still practiced. 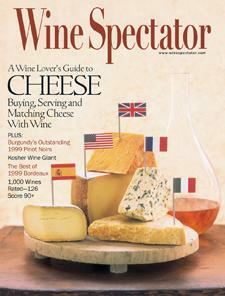 For the full article, check out the new issue of Wine Spectator, on newsstands March 31, 2002.